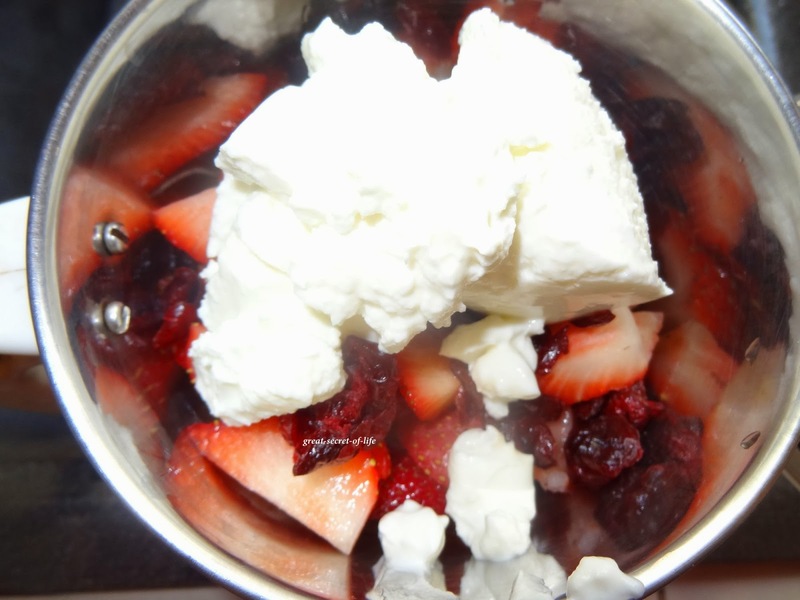 Looks so tempting, have never tried strawberry and cranberry combo..
Looks so delicious with chia seeds topping ! 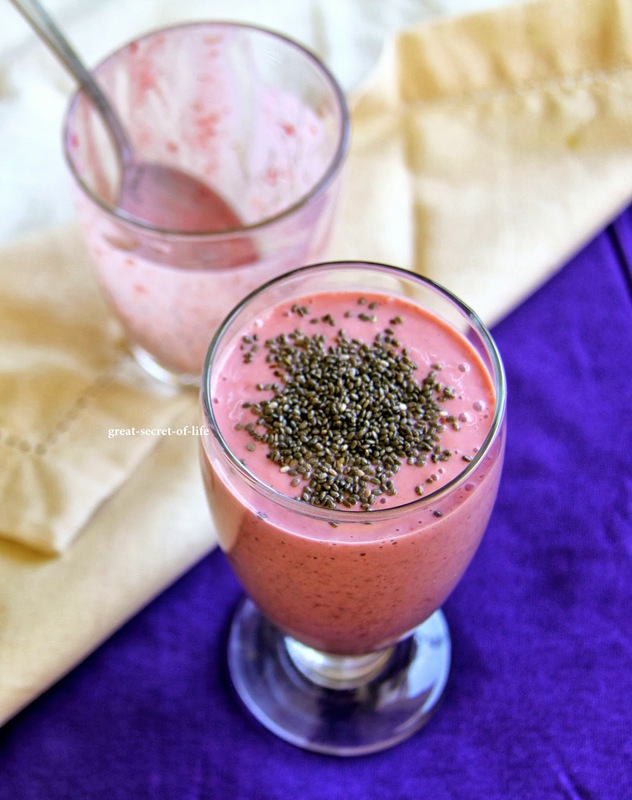 Wat a healthy and very filling drink, love the addition of chia seeds here. Wow canoeing that is really a nice choice .Love the smoothie and looking forward to more protein rich food. 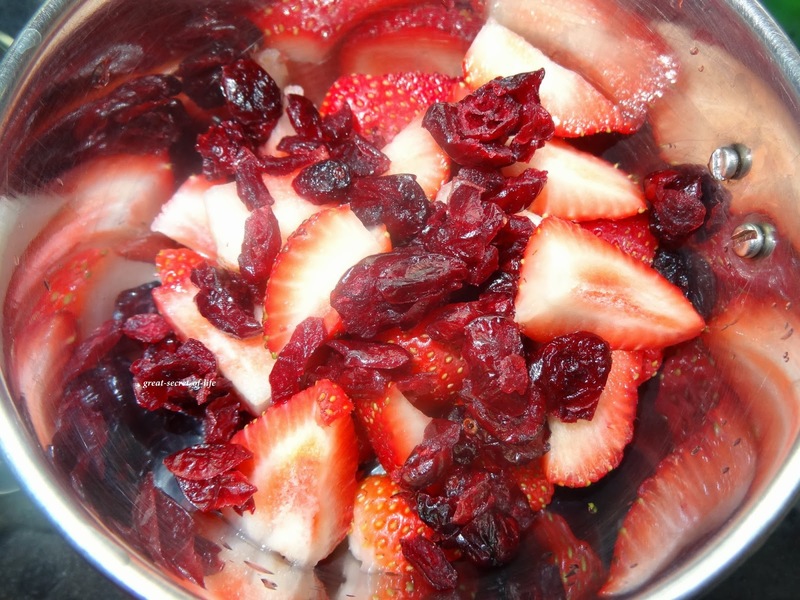 Great and super smoothie ! wow such an protein rich smoothie .. 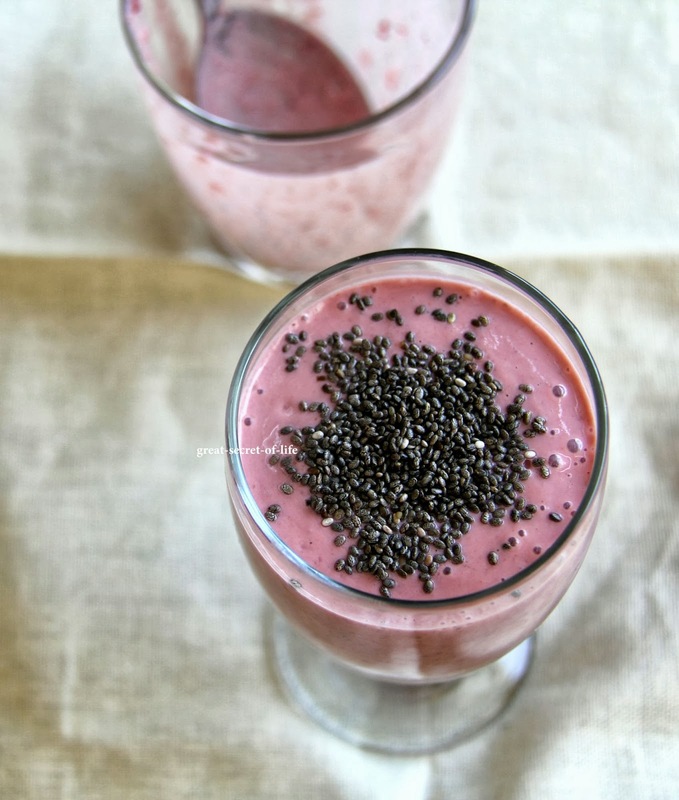 I love the addition of chia seeds :) looks super yummy and smooth dear :) tempting me !! chia seeds ?? wats dat ... am hearing this for the first time..
how do you decide to add curd? why not milk? does one score over the other?